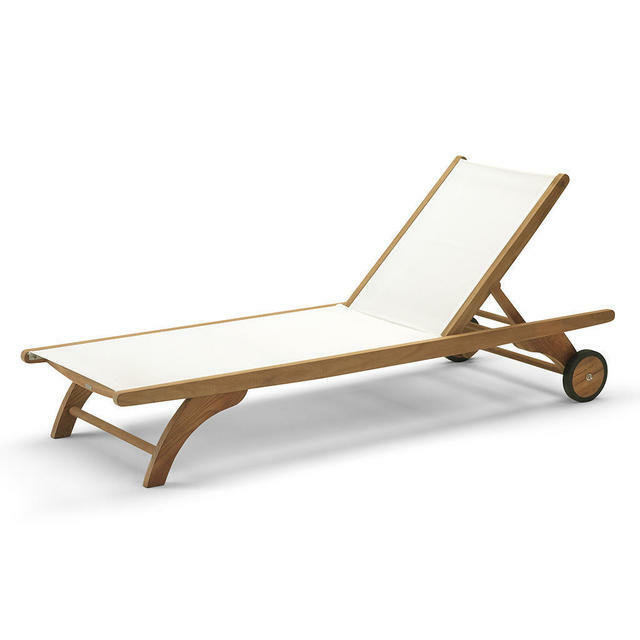 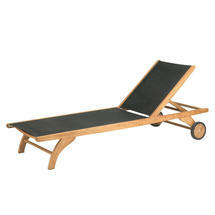 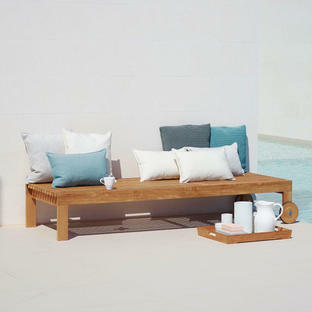 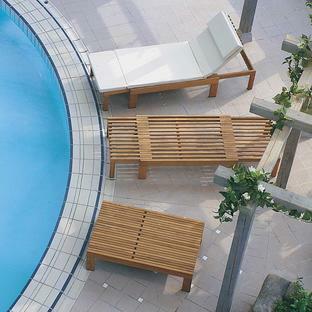 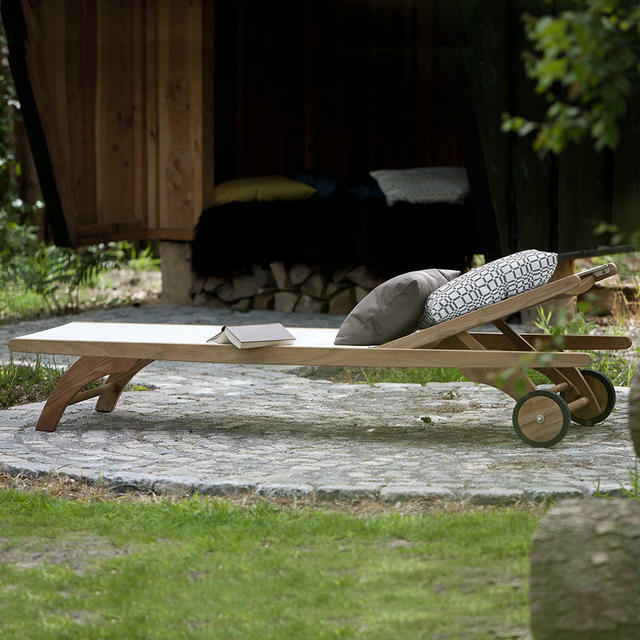 Easy Danish teak and all weather sling sun-lounger. 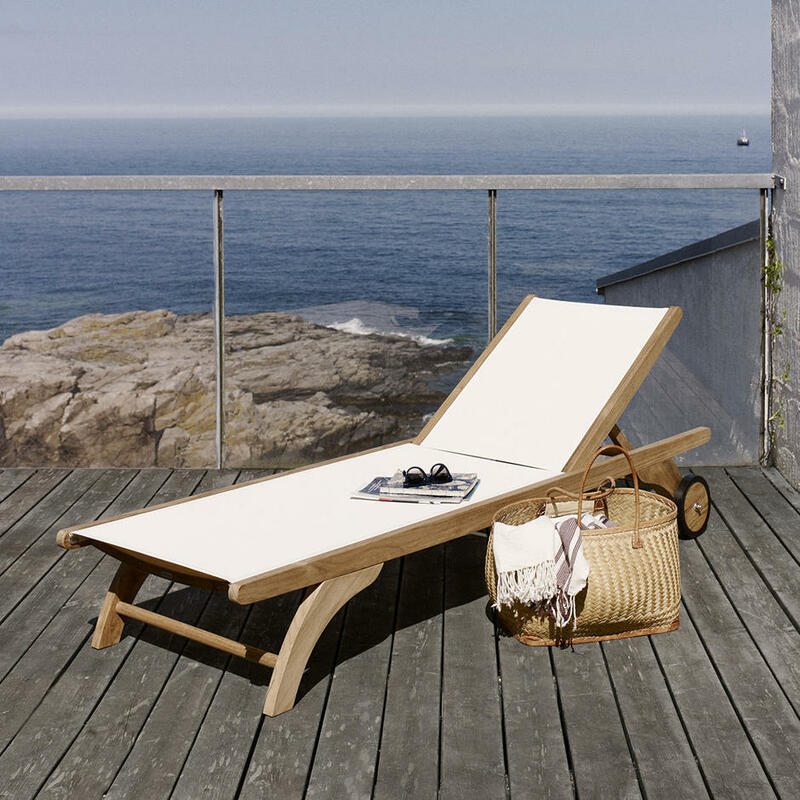 Relax and easy to maintain loungers by Danish outdoor furniture company Skagerak. With a delightful teak frame and all weather sling fabric, the lounger comfortable with 3 levels of back rest. 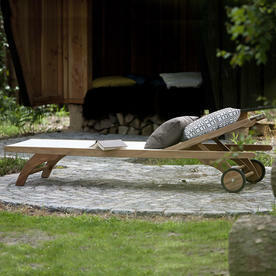 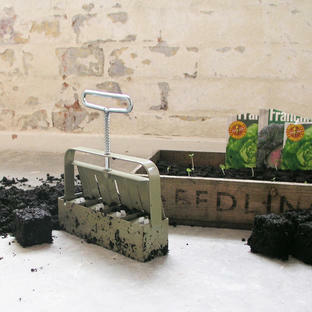 The lounger is complete with wheels for easy manoeuvrability.